Save by combining your airfares and accommodations. Expedia has plenty of outstanding Squillace travel packages that'll save you time and give you more money to splurge! Receive savings of as much as 15%* when you book a package deal on Expedia. We've got more than 400 partner airlines and 321,000 worldwide properties to select from across the globe, which means your dream holiday is just a few clicks away! Be confident in knowing that you may change almost any booking and you won't pay any extra fees to us. Preparing for your trip to Squillace? After some tips about what to do and see while you're there? That's where we can assist! Our planet is full of many surprising creatures, plants and discoveries. A trip to Natural History Museum will give you a closer look at the science of our natural world. There's a wonderful range of things to keep you busy in and around this destination. There's a fascinating collection of archaeological information available at Scylletium Archaeological Park. It's an educational and fun activity for the entire family! Still got some time on your hands? Kite flying at the seaside is something the whole family can get involved in. If it's a breezy day, why not have a go at launching one at Pietragrande Beach? With 16 properties on offer, you won't have any problems securing a terrific place to stay. Lock in a room for your next luxury getaway or cheap holiday via Expedia and enjoy a good night's snooze in Squillace. If the idea of a generously stocked minibar and an oversized bathtub excites you, grab a bottle of wine and immerse yourself in luxury at the Estella Club & Beauty (Viale Delle Province 37) or the Hotel Rada Siri (Via Nazionale 249). If you'd prefer to spend your precious dollars on things like hair-raising adventures and wild nightlife, why not check out a few of our low-cost options? The Cassiodoro Rooms Affittacamere B&B (Viale Cassiodoro 159/183) and the San Michele Apartments (Viale Europa, 28) come recommended. No traveller likes hanging around at the airport. But it's worth it when you remember the adventure that's waiting just around the corner Positioned 17 miles (27 km) northwest of Squillace, Lamezia Terme International Airport (SUF) is the most convenient terminal. Examine the evocative gray stone ruins of a centuries-old Norman fort, which has a strategic and scenic position in the hilltop village of Squillace. 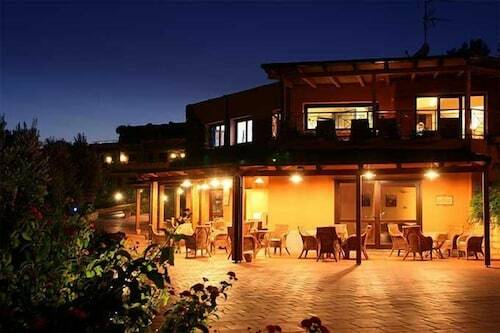 Situated in Squillace, this guesthouse is 0.4 mi (0.7 km) from Castle of Squillace and within 6 miles (10 km) of Copanello Beach and Natural History Museum. Scylletium Archaeological Park and Pietragrande Beach are also within 9 miles (15 km). Situated in a rural location, this agritourism property is 1.7 mi (2.7 km) from Castle of Squillace and 3.1 mi (5 km) from Copanello Beach. Caminia Beach and Natural History Museum are also within 6 mi (10 km). 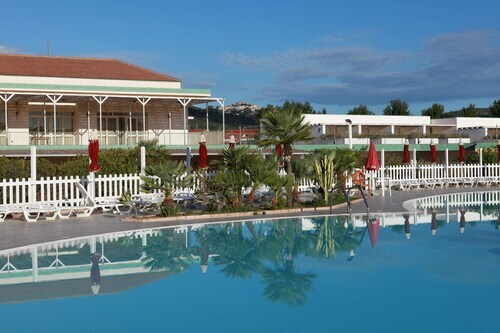 Situated in Squillace, this hotel is 1.6 mi (2.6 km) from Copanello Beach and within 6 miles (10 km) of Caminia Beach and Scylletium Archaeological Park. Castle of Squillace and Natural History Museum are also within 6 miles (10 km). Squillace Station is 20 minutes by foot. 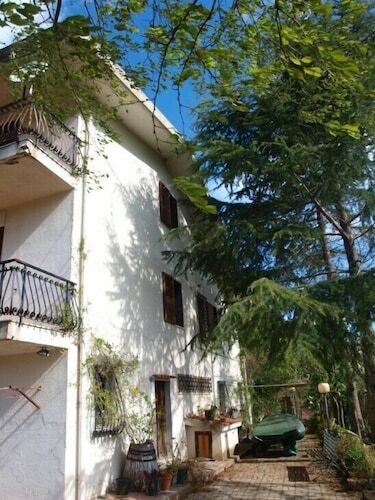 Situated in Squillace, this bed & breakfast is 0.5 mi (0.9 km) from Copanello Beach and within 3 miles (5 km) of Natural History Museum and Caminia Beach. Scylletium Archaeological Park and Pietragrande Beach are also within 6 miles (10 km). Squillace Station is 6 minutes by foot. Nestled on the beach, this Squillace apartment building is 0.8 mi (1.3 km) from Copanello Beach and 2.8 mi (4.4 km) from Scylletium Archaeological Park. Caminia Beach and Pietragrande Beach are also within 6 miles (10 km). Squillace Station is only a 4-minute walk. Nestled on the beach, this Squillace inn is within 3 mi (5 km) of Copanello Beach, Caminia Beach and Natural History Museum. Pietragrande Beach and Scylletium Archaeological Park are also within 6 miles (10 km). Squillace Station is 14 minutes by foot. 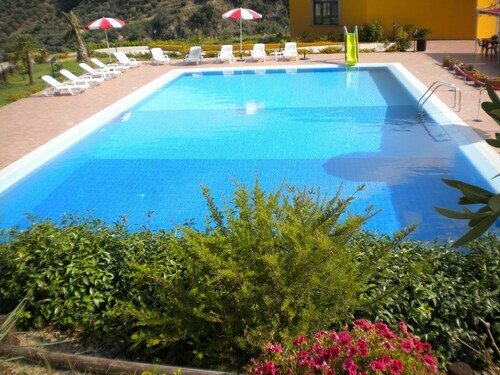 Situated in Squillace, this holiday home is 1.7 mi (2.7 km) from Castle of Squillace and within 6 miles (10 km) of Copanello Beach and Caminia Beach. Natural History Museum and Scylletium Archaeological Park are also within 6 miles (10 km).